Size of anchor is 4 1/4 " x 1 1/4". 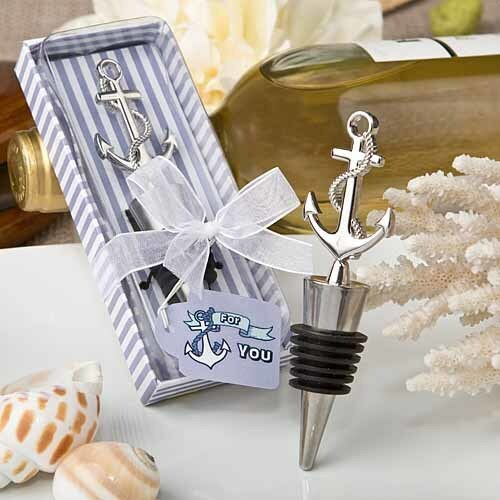 Nautical themed anchor bottle stopper. Made from all metal with a silver finish. Beautifully crafted anchor with winding rope. Bottle stopper is made from stainless steel and features black rubber gasket for tight seal. Packaged in nautical design blue and white stripe bottom box with a clear acetate top. Inside stage has matching blue and white stripes. White organza ribbon and 'For You' message with anchor card.